Since LDB’s inception, we have gone through ups and downs, however, our passion for what we are doing has gotten stronger and firmer. 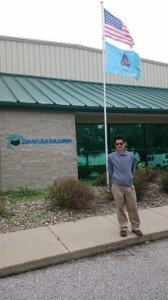 Our newest passion-providing education services to Chinese students and families and education institutions through David USA Education which was started just in 2015 is our emerging business. Belinda is very passionate about this new venture!